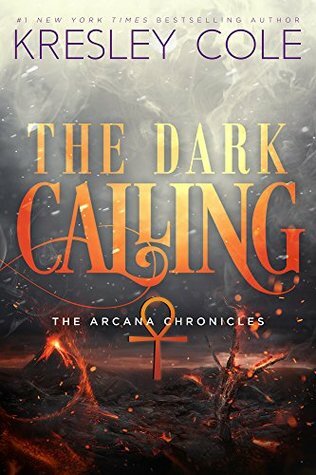 The Dark Calling is written by Kresely Cole and narrated by Emma Gavin and is the fifth book in The Arcana Chronicles. 1. First, apologies for being so behind in my reviews. Next is a little warning about this review. There are definitely major spoilers for the last book, and there will be a minor spoiler at the end for this book. Also, at the very bottom, I will included a updated list of the Arcana, who is who and who is dead, so don't read if you don't want to know. It will be below my to read or not to read section. 2. I am so glad that Cole gets to the point of proving that Evie is not crazy. She is definitely pregnant with Death's child. It is amazing this things she goes through during this pregnancy during the book. And her powers are still unpredictable during this book. 3. I just want to do a little happy dance for Jack's return. The way his cares for Evie and does everything to ensure her and the baby will provided for is so heart warming. Plus the charisma he has is amazing, especially at winning other Arcana to his side despite being human. 4. Speaking of other Arcana, we finally meet Kentarch in person. He definitely has some serious issues with finding his missing wife. Also loved getting to know Joules better in this book. He maybe my favorite supporting character of the Arcana. In other news in that world, Cole introduces the first suit of Minor Arcana in this book. They are every bit as crazy as some of the Majors, with a little less power. 5. You may have noticed not much mention of Death/Aric. He gets his crazy flipped for much of this book due to The Hanged Man. A card that reverses other cards. While under his influence, he tries to kill Evie, and chases her out of the castle. 6. Okay, here is the spoiler for this book. I was surprised with the Hanged Man was revealed. I was not expecting to be Paul, the medic. I thought he would be a Minor, but no idea that he was the hidden card. Just blew my theories out of the water.